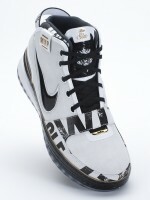 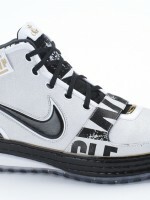 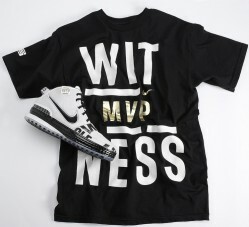 In celebration of LeBron James being named the NBAâ€™s Most Valuable Player for the 2008-09 season, Nike will unveil a commemorative Nike Witness MVP t-shirt and Zoom LeBron VI. 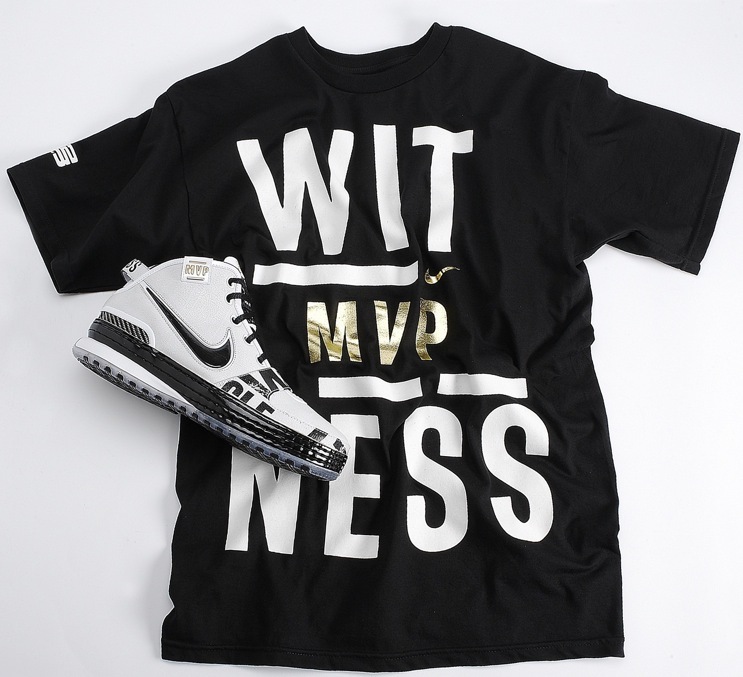 The Nike Witness t-shirt is available beginning today for a suggested retail price of $30.Â The Zoom LeBron VI MVP edition will hit retail beginning May 30, for a suggested price of $150. 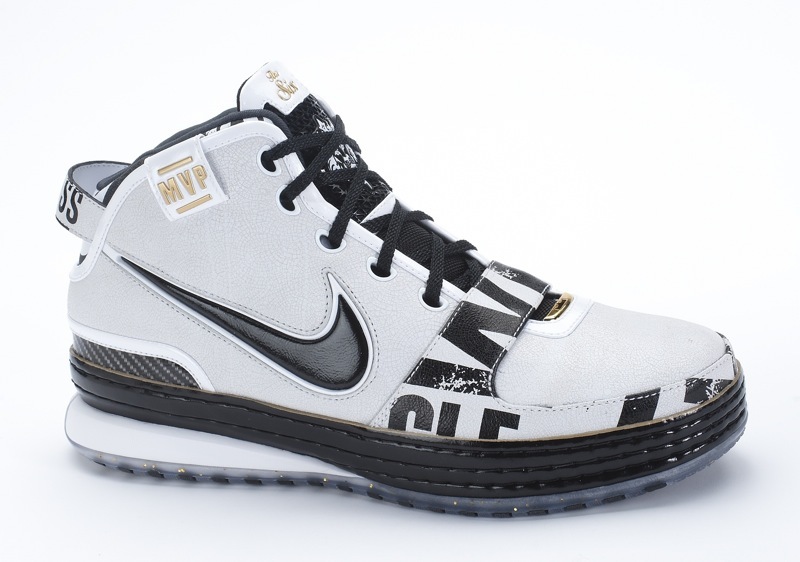 In addition to the special product, Nike will also update the Nike LeBron James Witness Billboard near Quicken Loans Arena with a laser show displaying â€œMVPâ€ on the sign. The â€œMVPâ€ Witness sign will be on display beginning tonight and will run throughout the length of the Cavs-Hawks game. 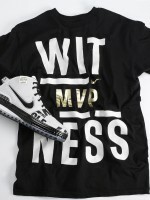 Finally, fans attending tonightâ€™s game will be given a special â€œWitness MVPâ€ sign to be held during the game.